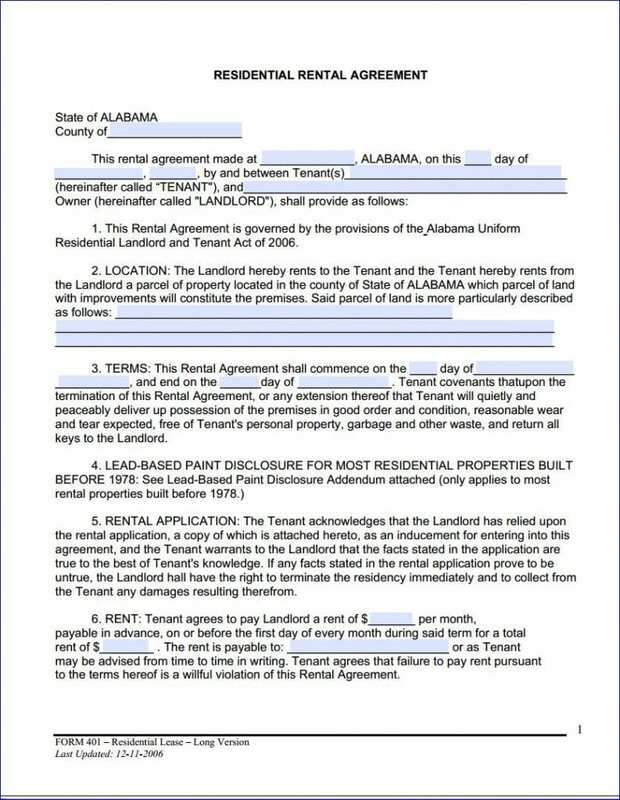 The Alabama Month to Month Rental Agreement is a template which states that the tenant agrees to pay the said amount every month on the specified date to the landlord for renting his premises. This document is only to be used in the Alabama and is governed by the provisions of the Alabama Uniform Residential Landlord and Tenant Act of 2006. This rental agreement has blanks for filling out details like; the County in which this agreement is being made, the date on which it is being made, the name of the tenant and the landlord. The date of commencement and expiration of the agreement. The tenant agrees that he will peacefully deliver the possession of the premises to the Landlord on completion of the agreement. The tenant will pay the rent at the pre-specified day of every month as per this agreement and will pay late fees in case of delay in payment. The tenant states that only the specified people will occupy the premises. The tenant will not sublease the premises to anyone without the written consent of the Landlord. The tenant will have to pay the bills for the utilities and services used during the term of this lease. The landlord agrees to make repairs and keep the premises in good condition. The tenant will have to insure his/her own possessions against fire and other catastrophes. The tenant will let the landlord enter the premises to inspect or make necessary repairs, decorations, alterations etc. The tenant will pay the predetermined security deposit to the landlord which will be held as security for the faithful performance by the tenant during the term of this lease. The rest of the agreement deals with clauses related to failure to pay rent, termination, inventory of any furnishings provided, allowing pets, rental rate adjustment, landlord’s communication address, Megan’s law, and any other additional terms.